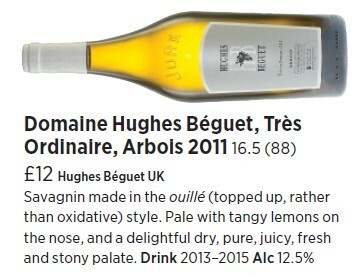 "100% Savagnin. Ouillé – topped up. Very fresh and pure. Not at all oxidative tasting. Pure and unadorned. Lots of fruit. Apples again. Long and nervy."